My name is Lee Anne Ledwell and, as I’m sure most of you are aware, I was the Ehime AJET President from 2018-2019. Together with the current president, Laura Beardslee, we were able to rejuvenate Ehime AJET into the blossoming organization you know today. I wanted to take the time to write out this article explaining everything that has happened with Ehime AJET from its resurrection to what our council has accomplished this year to where I hope future councils will lead us. 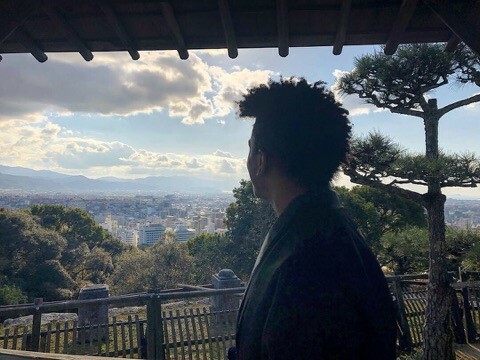 This entry was posted in The Mikan, Uncategorized and tagged AJET, JET life, life in Japan, President's Summary on April 4, 2019 by ehimerateam. When I submitted my re-contracting response to the Japanese Exchange and Teaching (JET) Progamme, my elementary kocho-sensei asked one question. 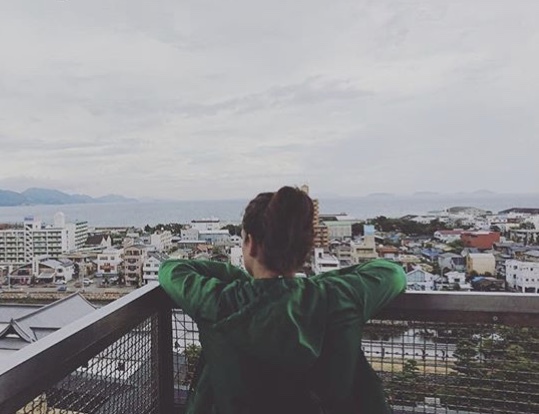 This entry was posted in The Mikan, Uncategorized and tagged JET life, life in Japan, life on JET, teaching, work culture on March 20, 2019 by ehimerateam. For this article, I tried to thing of an interesting perspective I could provide here. In the past, I’ve talked with some first year Primary or Junior High ALTs who didn’t know much about the Senior High School (SHS) system. I figured I might be able to help out by giving everyone an idea about how SHS work, and what teaching at a SHS is like, at least in my experience. This entry was posted in The Mikan, Uncategorized and tagged education, JET life, life in Japan, Mikan, schools, Senior High School on February 28, 2019 by ehimerateam. I woke up this Christmas Eve with a new anticipation. Instead of performing the traditional caroling and cookie decorating with my family, back in America, I would be traveling to Matsuyama Castle as a Samurai. This entry was posted in The Mikan, Uncategorized and tagged JET life, life in Japan, Matsuyama, Matsuyama Castle on February 8, 2019 by ehimerateam. What’s in a name? Or, in the case of Japan, what on earth is the name in the first place? I found out the hard way just how tricky a Japanese name can be. Names are important. Abraham Lincoln is reported to have never forgotten a person’s name, even of those who he only ever met once. I assume the reporters meant twice, as with those he met only once, there’s no way to tell. I can tell two things for certain from this: Lincoln understood the power of names, and Lincoln never had to learn the names of Japanese school children. This entry was posted in The Mikan, Uncategorized and tagged Japan, JET life, language, names, teaching on December 21, 2018 by ehimerateam. February started off on a positive note. Work was going fine and I no longer felt on the brink of losing anything. I felt extremely busy, and found myself working overtime. One Tuesday, my manager sent me home early for that reason and my week seemed to slow down immediately. I finished my transcription assignments for my other job and got some things done for several police departments. This entry was posted in The Mikan, Uncategorized and tagged Japan, JET alumni, JET life, life after Japan, post-JET on July 31, 2018 by Editor of the Mikan. I am terrible at vacationing. When I go on a trip, I have neither an itinerary nor the desire to construct one. I am the type of person that would be perfectly happy to sit in a cafe or on a nearby beach, or even just in the hotel room where I’m staying. So how is it that I managed to go on a four day, timetable packed down to the minute, snowballs to the walls trip to Hokkaido for the Yuki-Matsuri? The same strategy I usually follow when traveling; I went with a friend who is semi obsessed with getting the most out of their vacation. The following is a story of pitfalls and highlights that I’ve assembled from some notes that I took during my time outside of Shikokuchuo. I hope you’re enticed by the highlights, and that you’ll learn from (or at least get a laugh out of) the mistakes we made during our time in the far north of Japan. This entry was posted in The Mikan and tagged AJET, Hokkaido, JET, JET life, Travel on June 5, 2018 by Editor of the Mikan. Though each day passed in seeming monotony, I can’t say that they hadn’t each injected some influence into my path. One overcast day while riding in the passenger seat in one of my parents’ cars, I suddenly realized that I needed to take responsibility for my life. My life is the way it is because of all of the decisions I have made. Even if I were not the one calling the shots, I was responsible for the ways I reacted to the things that happened. Instead of feeling like a victim of my circumstances, I realized that I needed to take responsibility for those circumstances I found myself in. I resolved to take it upon myself to improve what I could. This changed the way I viewed things and altered the course I was on. This entry was posted in The Mikan, Uncategorized and tagged Japan, JET alumni, JET life, life after Japan, post-JET on June 5, 2018 by Editor of the Mikan. This entry was posted in The Mikan and tagged Japan, JET, JET life, LGBT, LGBTQIA+, life on JET, Queer, Stonewall, Stonewall Japan on February 9, 2018 by Editor of the Mikan.